The brake system is one of most important parts in a car. It must be maintained and repaired immediately when it has a problem. For most common car brake repairs, it’s easy to identify when there is a problem. Squeaky brakes, sticky brakes, and brakes that pull to one side are fairly noticeable issues that indicate it is time to visit your trusted auto mechanic. Learn about the most common types of car brake repairs and how to identify them based on symptoms. 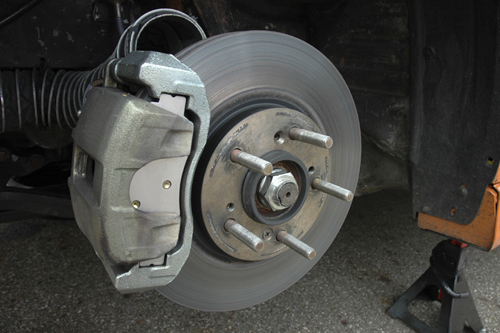 Squeaky car brakes are one of the most common symptoms of an unhealthy braking system. 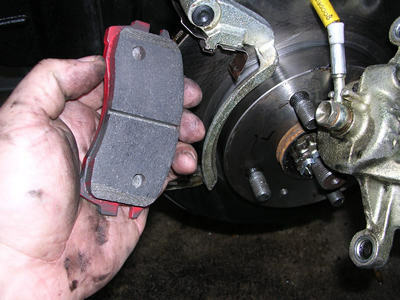 In most cases, hearing those squeaks means that your brake pads have worn out and need to be replaced. However, squeaky brakes may also simply be an indication that brake dust has built up on the pads. If such is the case, then a simple cleaning may be enough to remedy the situation. Brakes that “grab” during deceleration may be hindered by buildup of grease, oil or other contaminants on brake pads and other components. 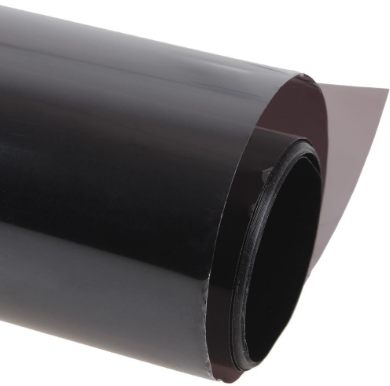 Typically, the use of a degreaser is adequate enough to fix debris buildup. Sticky brakes may also be the cause of a warped brake drum or rotor. If such is the case, then resurfacing or replacement will be necessary. A number of brake system ailments stem from either low brake fluid or dirty brake fluid. Generally, low brake fluid is the result of a leak, which can be identified by looking for fluid puddles under the car after it has been parked. Heat and other factors can also degrade brake fluid overtime. If a visual inspection of the fluid reveals a dark-colored liquid, then it is time to flush and replace. Car brakes that pull to one side may be an indicator that your brakes need to be aligned or re-adjusted. This is a fairly simple and inexpensive repair. However, pulling brakes may also be a warning sign of more serious repair problems, including a bent wheel cylinder or loose wheel bearings. If your brakes feel squishy when you press on the brake pedal, then this is likely the result of insufficient brake fluid in the system. Checking for a leak and refilling the system may fix the problem. If not, then bleeding the brakes may be necessary. A car brake pedal that pushes all the way to the floor is an indicator of two potentially dangerous car brake repairs – a worn master cylinder or hydraulic fluid leak. In either case, the vehicle should not be driven until the problem has been identified and repaired. AutoWorks offers car brake repairs for classic cars and other cars, window tinting, backup camera installation, detailing, and other auto services to towns in the Monmouth County area such as Middletown, Oceanport, Long Branch, Rumson, Little Silver,Shrewsbury, Marlboro, Freehold, Colts Neck, Aberdeen, Manalapan, Point Pleasant,Red Bank, Keansburg, Eatontown, Millstone Township, Tinton Falls, Fair Haven, and many more. To learn more about our hot rod restoration and other services contact us today at 732-671-0225 or visit the website.